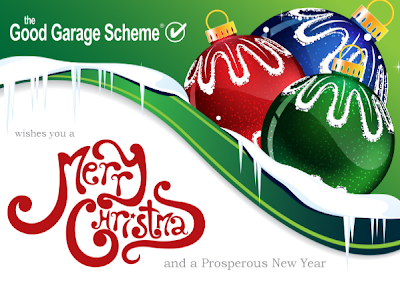 The Good Garage Scheme wishes you all a very happy Christmas and a prosperous new year. wherever you travel this Christmas. 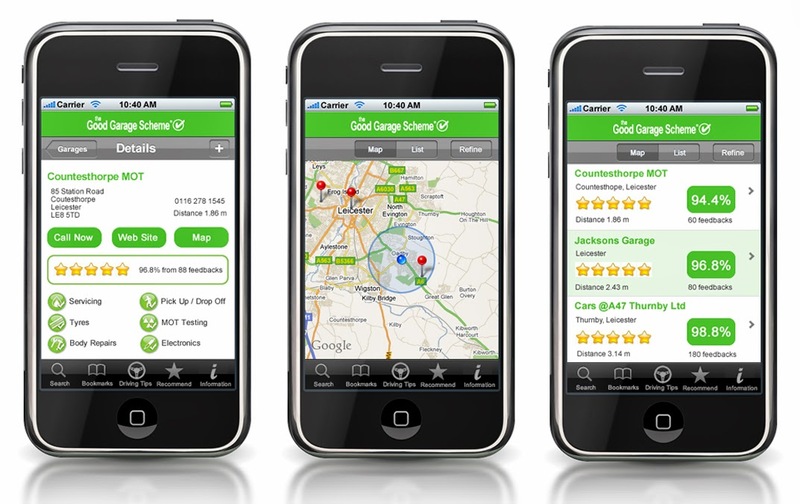 Locate a garage you can trust no matter where you travel in the UK. On Tuesday, 17th December, staff from the Good Garage Scheme, including Mr. 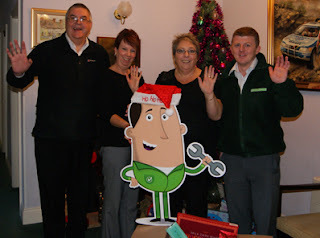 Miles Better, delivered a Christmas hamper to Arthur Wilson House in Coventry, one of BEN's day care centres. 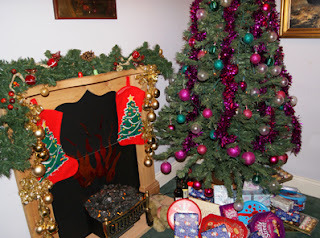 Manager, Lynn Walker, was grateful for the items which will be shared in a raffle for the patrons. BEN is the UK’s dedicated charity for those who work, or have worked, in the automotive and related industries, as well as their dependants. Care centres like Arthur Wilson House do a fantastic job caring for those most in need. If you would like to learn more about BEN and the work they do, please visit www.ben.org.uk. According to THINK!, the campaign run by the Department for Transport, in the last 30 years road casualties caused by drink driving have fallen dramatically. In 2011, however, there were still 230 deaths due to drink driving – accounting for 12% of all road fatalities. By drinking and driving, you risk your life, those of your passengers and others on the road. This year THINK! warns motorists of the dangers of driving the "morning after". Contrary to what a lot of people believe, sleep and coffee do not always sober you up after a night of drinking. It takes a lot longer than most people think for alcohol to pass through the body. 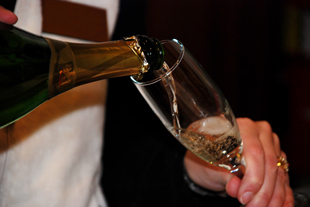 On average it takes around one hour per unit of alcohol, though this can vary depending on weight, build, and gender. Because of this, there is a real risk that people who would not dream of driving after drinking may still be unwittingly over the drink-drive limit the morning after. This includes people going about everyday activities such as driving to work, doing the school run, popping to the shops or to see friends. • In 2012, 290 people were killed in drink-drive accidents in Great Britain (17% of all reported road fatalities), an increase of around a quarter compared with 2011 (DfT provisional figures). • In 2011 more people failed breath tests between the hours of 6 am and 11 am than during the hour before or after midnight (ACPO). We're not saying 'don't drink', but we are saying 'don't drink anything if you are driving' and 'don't drink heavily if you have to drive the following morning'. Use our 'morning after calculator' to see how long it takes for alcohol to pass through the body. The Good Garage Scheme would like to wish everyone a safe holiday season. 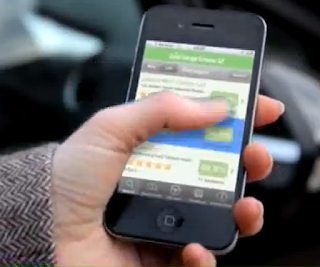 Don't forget to charge your phone and download the Good Garage Scheme's free app before you travel in case you need to contact a garage. The MOT test was originally called the "Ministry Of Transport test", it is now simply called an MOT. All MOT Testing Stations are regulated by the newly named Driver and Vehicle Standards Agency (DVSA), which replaces both the Driving Standards Agency and VOSA. According to the government-run DVSA, you must keep any vehicles driven on the road in a roadworthy condition and records are updated on a database. The MOT test checks that your vehicle meets road safety and environmental standards. An MOT is required when a car is three years old (four years in Northern Ireland) and then annually after that. As we all know the MOT test fee itself is not the most worrying cost but rather the repairs required in order for your vehicle to pass the test. A vehicle that does not have a valid MOT test certificate has its registration details automatically passed on to the Automatic Number Plate Recognition (ANPR) of police vehicles. Certain static road-side cameras use ANPR too. An invalid MOT may also be an excuse for an insurance company to not honour a claim. Look for garages that offer discounts on servicing when MOTs are booked at the same time. One in five vehicles fail MOTs due to an inoperative light bulb. Walk around to check your car's indicators and headlights, front and back. Ask for help from a friend or neighbour with checking your reversing light. For more information about MOTs visit the Good Garage Scheme website.